On this first anniversary of the Humboldt bus crash, there’s a campaign on to get every Canadian (and yes, you Americans as well!) to become an organ donor. There are currently about 4500 people in Canada waiting on a transplant — if we all donated, we could wipe that need out in an afternoon. Most provinces have a donor program as part of your driver’s licence. 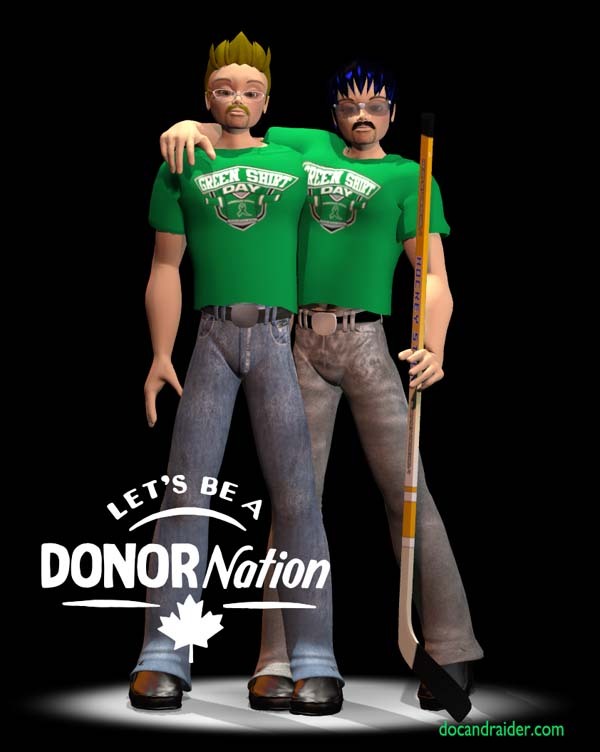 In Nova Scotia, it will be assumed you are a donor unless you opt out. However you do it… do it. ← And then there’s the interviews!